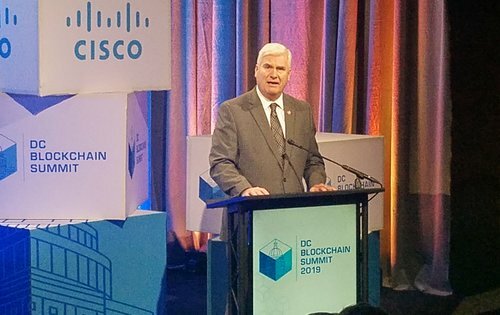 Emmer said he’s doing his part to speed the growth of blockchain in the U.S. through his Blockchain Regulatory Certainty Act, a bill he introduced in January. The legislation ensures that blockchain developers that never take control of consumer funds do not need to register as a money transmitter in the states in which they operate. “Money transmitter laws were enacted to ensure the protection of the consumer entrusting another entity with their funds in order to transmit them. If no funds are being entrusted to another, it should be certain that these regulations do not apply,” he said. Blockchain Labs for Open Collaboration (BLOC) is a startup that is working diligently to provide blockchain-based solutions across different verticals, with the primary goal of bridging the gap between the digital and the physical world. BLOC recently collaborated with mining company BHP, Japanese shipping company NYK, and biofuel company GoodFuels, to deliver sustainable biofuel to the BHP-chartered, NYK-owned bulk carrier – all via BLOC’s blockchain fuels assurance platform. MacDonald contended that standardization was essential to induce trust in the system. This is particularly true in regard to the ability to judge the security of the system and to exchange data and assets across supply chains with unwavering faith. “That being said, I don’t think there will be a standard one-size-fits-all model that we can use to exchange data across the supply chain. Each of the applications that are developed now needs us to dive deep every single time, to define each of the features,” she said. Columbia Transport s.r.l. 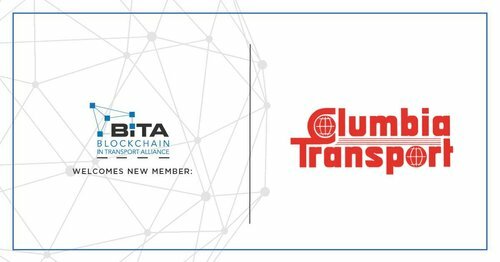 has joined the Blockchain in Transport Alliance (BiTA). An Italian full-service international freight forwarder serving all major worldwide destinations, Columbia Transport assists product movement from and to Italy. BiTA is dedicated to developing best practices and standards for blockchain in the transportation industry. Columbia Transport was founded on 1982 by Giovanni De Luca, who was inspired by the Columbia Space Shuttle, the first orbiter to fly into space in 1981. The company is now led by his son, Enrico De Luca, who has 30 years of freight forwarding industry experience with the company. Enrico, together with an experienced and motivated staff, work to ensure that Columbia’s customers get the personalized service they have come to expect from the firm. Dale Chrystie of FedEx (NYSE:FDX) was elected as the first chair of the Blockchain in Transport Alliance (BiTA) Standards Council (BiTAS), during its February Board of Directors meeting. Chrystie has been with FedEx since 2006, holding many key roles and bringing more than 30 years of experience from the transportation and supply chain industries. Currently, Chrystie’s focus is on the utilization and optimization of blockchain technologies in the areas of strategy, business applications and aligning of companies. ShipChain, the blockchain-based end-to-end logistics startup, has announced the integration of its platform with Scandinavian logistics company Scanlog, to help with the track-and-trace of Scanlog’s freight moving across the company’s global logistics network. The importance of transparency in supply chains can never be stressed enough, with businesses that deal with cargo movement across international borders particularly interested in having eyes on their freight in real-time. 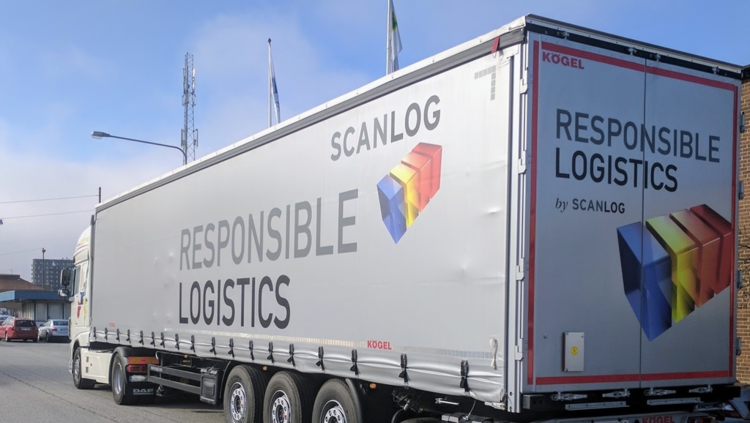 Scanlog, which has been rapidly expanding its global reach, finds relevance in the ShipChain platform, because it can help monitor Scanlog’s trucks – from the pickup point to the destination. ShipChain uses blockchain technology at its core and its flagship solution – the smart contract – helps bring transparency and visibility to supply chains, with the company running a successful pilot trial program partnering alongside Perdue Farms. ShipChain’s software can be fully integrated with most of the transportation management software (TMS) systems in the market, and can seamlessly track freight across any mode of transportation. “Our customers expect us to deliver their physical goods on time and in perfect condition, but this is only one part of our job as international transport specialists. Today the flow of information connected to the physical supply chain is of such magnitude and such importance that it requires advanced process management to deal with it timely and accurately,” said Mattias Ljungberg, the CEO of Scanlog. “Since the inception of Scanlog six years ago it has been focused on using the latest technology to assist our co-workers with this task. The agreement with ShipChain is the newest example of our dedication to using state-of-the-art technology to create customer value, and I am very much looking forward to working closely with ShipChain to deepen our partnership further,” he continued. ShipChain’s location sensors would be stuck to the cab of Scanlog’s participating trucks, sending out real-time encrypted GPS data to Scanlog’s on-site office, generating unique data signatures that would be stored on the Ethereum blockchain. ShipChain’s smart contracts would also be useful, because they will remove the need for a third-party to act as an intermediary for contracts struck between Scanlog and its shipper clients. The blockchain at the heart of these smart contracts etch regulations in code and store them within a blockchain framework, making them immutable and transparent to all stakeholders in a transaction. The partnership with ShipChain apart, Scanlog has been busy adding technology to its operations. In October 2018, the company inducted ProcessRobot software from Softomotive to its back office, helping to expedite its order booking process and developing a smarter workflow. The software reduces the time spent by personnel on repetitive tasks, with ProcessRobot automating mundane operations, helping the workforce spend their time on more worthwhile tasks.